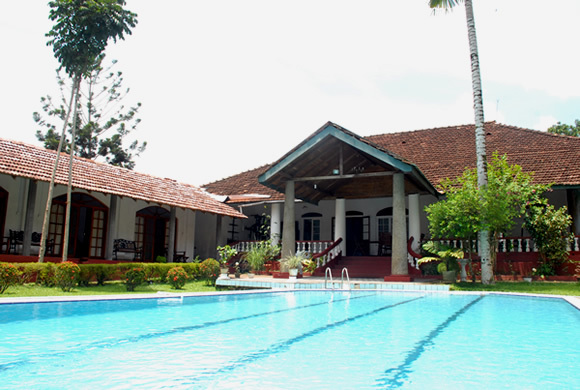 The Bungalow @ Pantiya Estate, Sri Lanka is a lavish planter's colonial residence. It was built in 1907 by a British planter. Majestically it nestles in the hills of Pantiya Estate, which is a producing rubber, coconut and tea plantation. 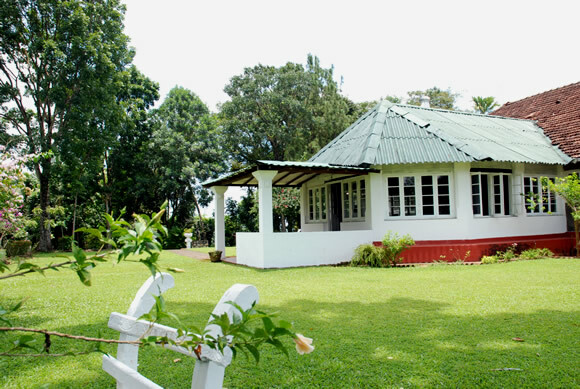 The building has been fully refurbished, retaining its old world charm and only one booking at a time is taken to ensure guests have the entire bungalow to themselves. Its comfortable and spacious bedrooms, extensive gardens with a large swimming pool, magnificent views over rolling hills, interesting location near the south coast and the mild climate all combine to make The Bungalow @ Pantiya Estate, Sri Lanka an inviting property for families or friends. At Pantiya Estate, we are keen to increase sustainability. The water used in The Bungalow is sourced from two large fresh water wells in the property. The fruits and vegetables served for your meals at The Bungalow are straight from our gardens or locally sourced from the village market, where farmers sell their produce. Going forward we aim to use Solar panels to create energy for electricity. For details on how we aim to become more sustainable, please do ask us!